Let me start off by saying that I give this a full 5 star recommendation, and in fact if I could, I'd give it a 10 star rating because it is that good of a product! Anyways, I have 2 cats, one which loves to be brushed and another which doesn't care for it too much. The one that likes to be brushed, gets brushed almost daily. So while she still sheds, her loose fur is removed often, so she didn't have too much of a use for this. However my other cat, the one who isn't a huge fan of being brushed desperately needed this. 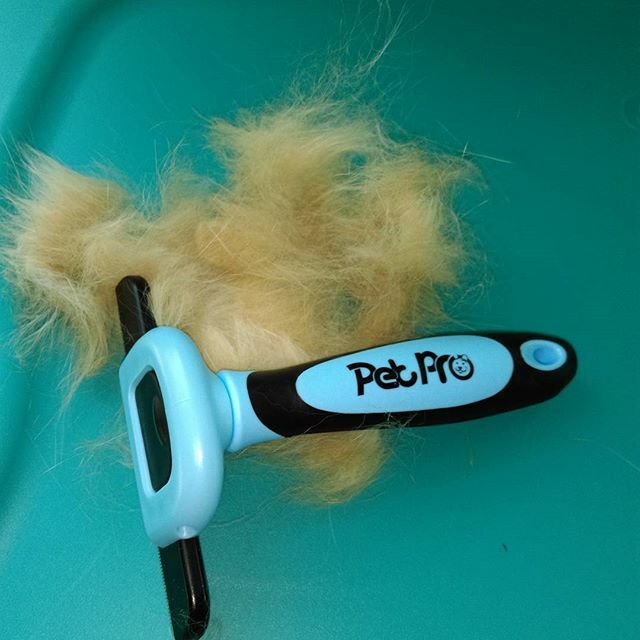 I like to keep my cats coat looking its best, and brushing them is a great way to do so. But because she isn't a fan, she doesn't get it done often. I knew she had a lot of loose fur because when I would pet her, or pick her up, I'd be covered in fur. 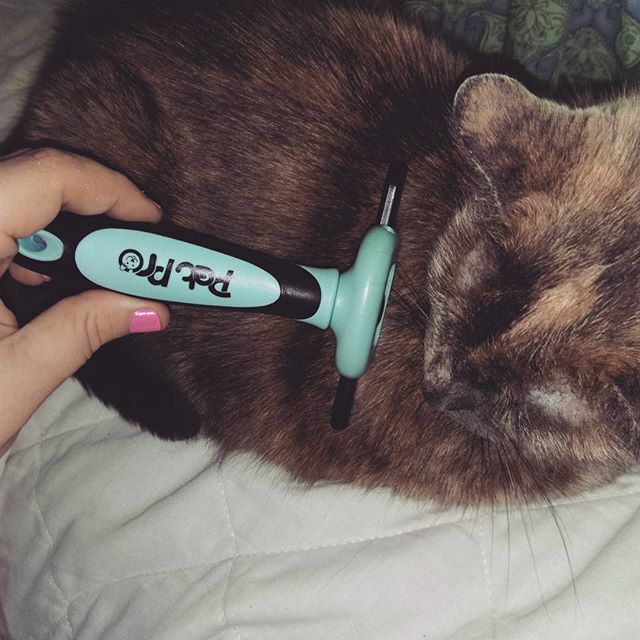 So I tried this brush on her.... By far the best pet brush I have ever used thus far! It works so well! It not only gets rid of loose top coat, but also gets to their under coat. The amount of fur that was coming out of my cat was mind boggling! I could tell she was loving it because she would rub her head into the brush, so I figured getting rid of that loose fur must feel pretty good! I absolutely love this brush, and cannot recommend it enough! My 2 cats give it a big 2 paws up rating as well!